Changing the product key that you used to install Windows with might be necessary if you find out that your current product key is... well, illegal, and you've purchased a new copy of Windows to solve the problem. While it's probably less common these days, many people still use product key generators or other illegal tools to get product keys that work to install Windows only to find out later, when they try to activate Windows, that their original plan isn't going to work out. You could completely reinstall Windows using your new, valid key code, but changing the product key without reinstalling is considerably easier. You can change the product key manually by making certain registry changes or by using a wizard available in Control Panel. The steps involved in changing your product key differ considerably depending on which Windows operating system you're using. See What Version of Windows Do I Have? if you're not sure. Since some versions of Windows use slightly different names for some menus and windows, pay close attention to the differences that are called out in those steps. 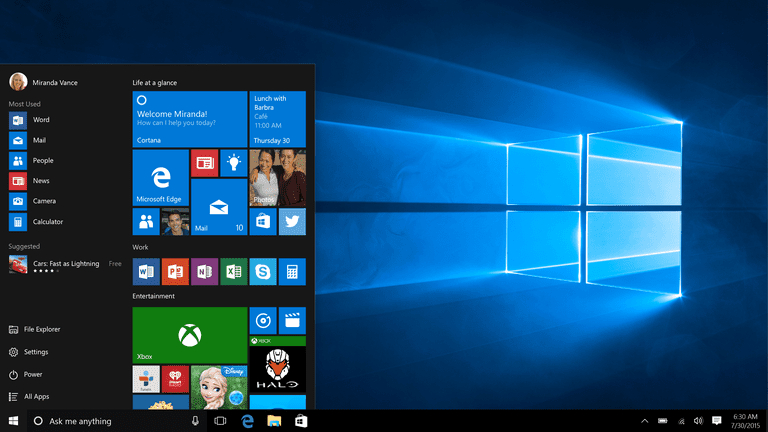 In Windows 10 or Windows 8, the quickest way to do that is with the Power User Menu via the WIN+X keyboard shortcut. In Windows 7 or Windows Vista, go to Start and then Control Panel. Click or tap on the System and Security link (10/8/7) or System and Maintenance link (Vista). If you're viewing the Small icons or Large icons view (10/8/7) or Classic View (Vista) of Control Panel, you won't see this link. Simply open the System icon and proceed to Step 4. Click or tap on the System link. In the Windows activation area of the System window (10/8/7) or View basic information about your computer window (Vista), you'll see the status of your Windows activation and your Product ID number. The Product ID is not the same as your product key. To display your product key, see How to Find Microsoft Windows Product Keys. Next to the Product ID, you should see an Activate Windows (Windows 10) link or Change product key (8/7/Vista) link. Click or tap on this link to start the process of changing your Windows product key. If you're using Windows 10, an extra step is required here. In the Settings window that opens next, choose Change product key. In Windows 10 and Windows 8, enter the product key into the Enter a product key window. In Windows 7 and Windows Vista, the key should be entered into a screen called Windows Activation. If you're using Windows 10 or Windows 8, the key will be submitted once all the characters have been entered. In Windows 7 and Vista, press Next to continue. Wait on the Activating Windows... message until the progress bar is complete. Windows is communicating with Microsoft to make sure that your product key is valid and to reactivate Windows. The Activation was successful message will appear after your product key has been validated and Windows has been activated. That's all there is to it! Your Windows product key has been changed. Tap or click Close to close this window. You can now also close any other windows you opened in the above steps. A completely different process is required to change the Windows XP product key code because you have to make changes to the Windows Registry. It's important to take great care in making only the changes described below! It's highly recommend that you back up the registry keys you're changing in these steps as an extra precaution. If you're uncomfortable making registry changes in order to change your Windows XP product key, using the popular free product key finder program called Winkeyfinder is another option. It's an excellent alternative solution to changing the Windows XP product key code manually. Prefer screenshots? Try our Step by Step Guide to Changing the Windows XP Product Key for an easy walkthrough! Open Registry Editor via Start > Run. From there, type regedit and click OK.
Don't worry about filling anything out on this screen. It's not necessary. Now reactivate Windows XP by following the instructions on the Activate Windows by phone window, which you should now be seeing, or via the internet by clicking the Back button and following the instructions on that screen.